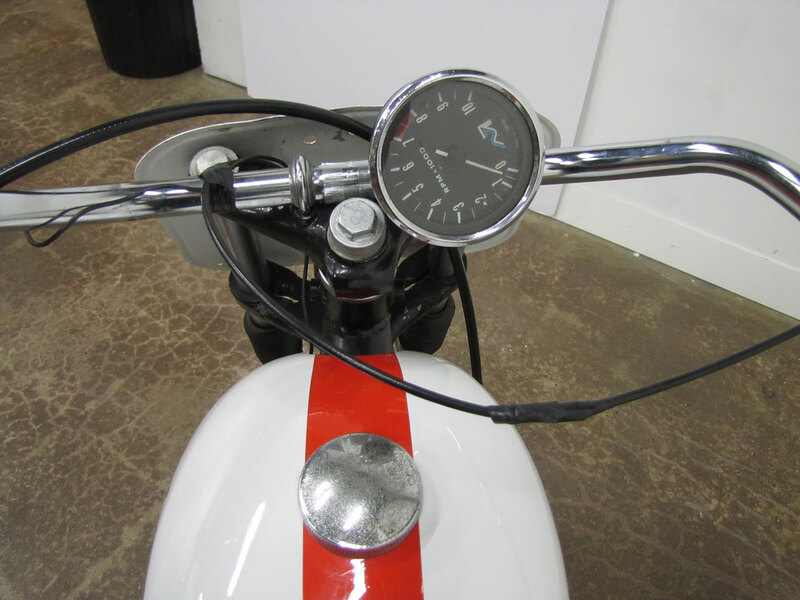 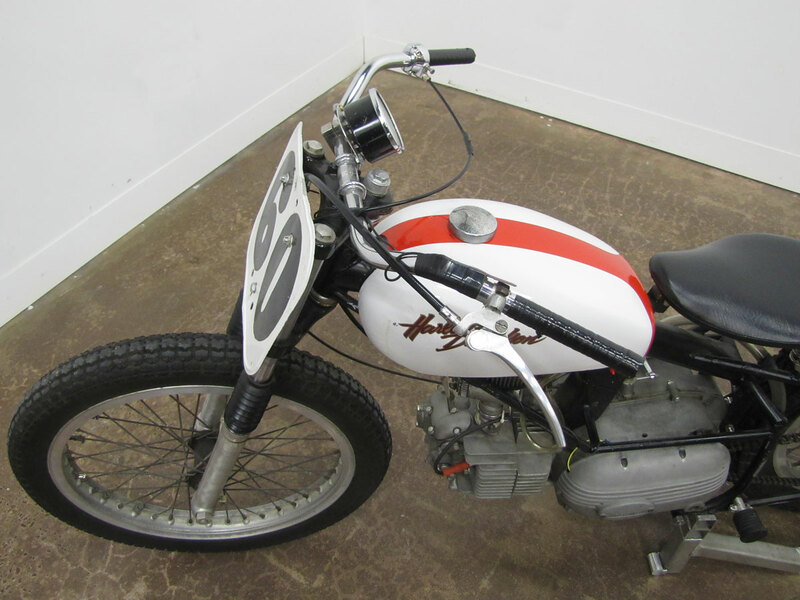 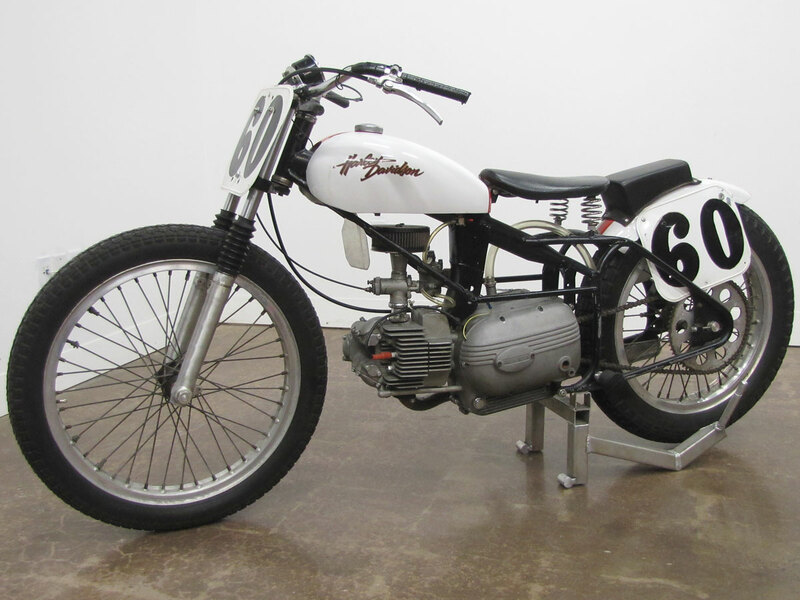 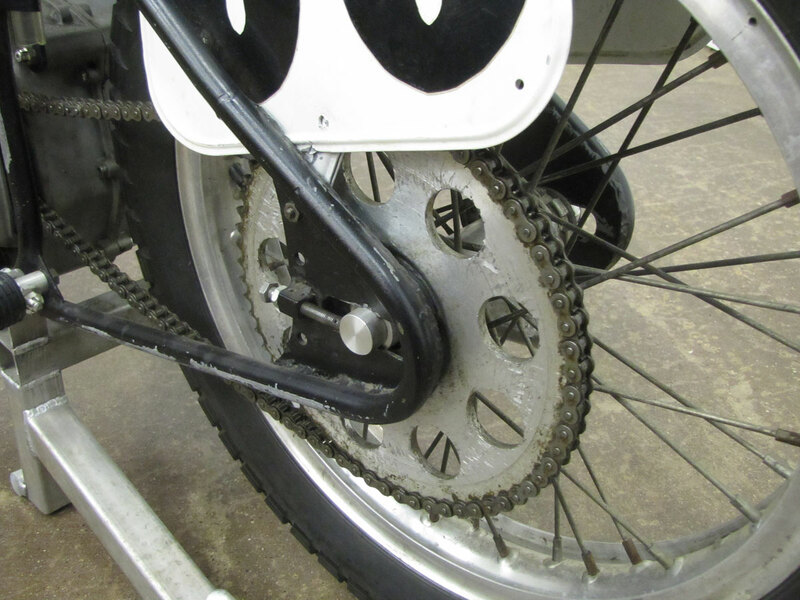 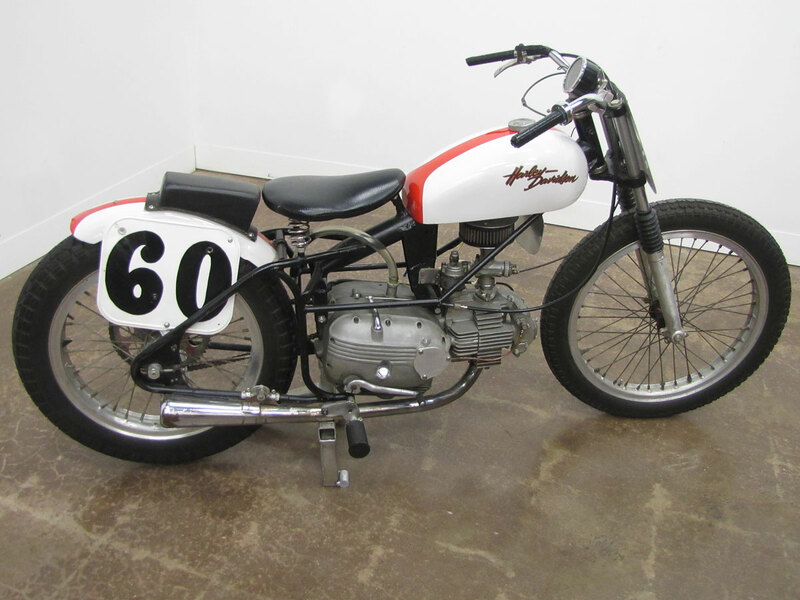 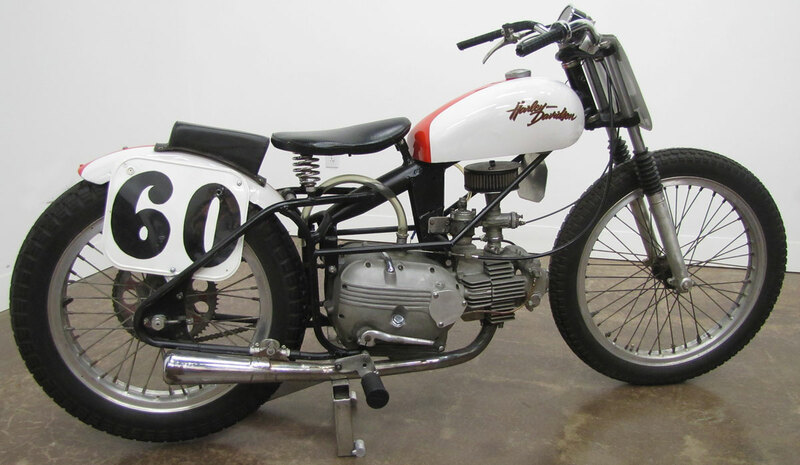 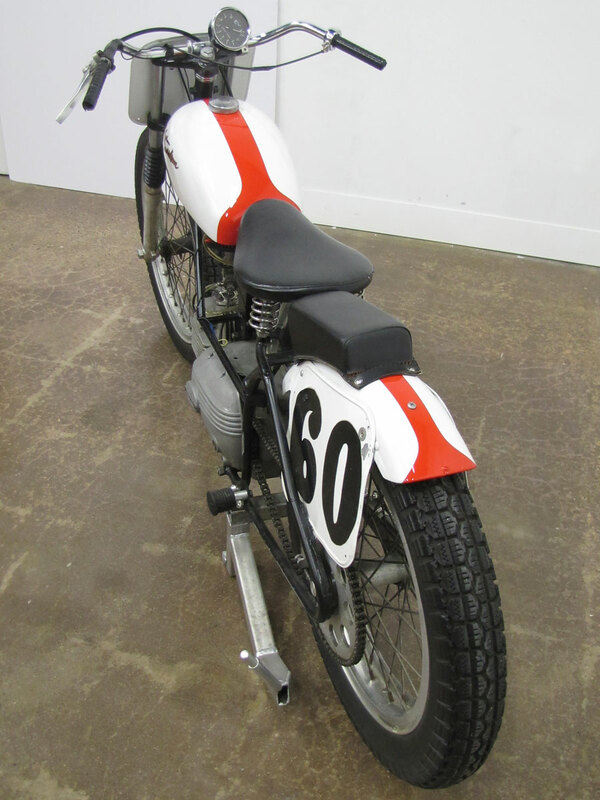 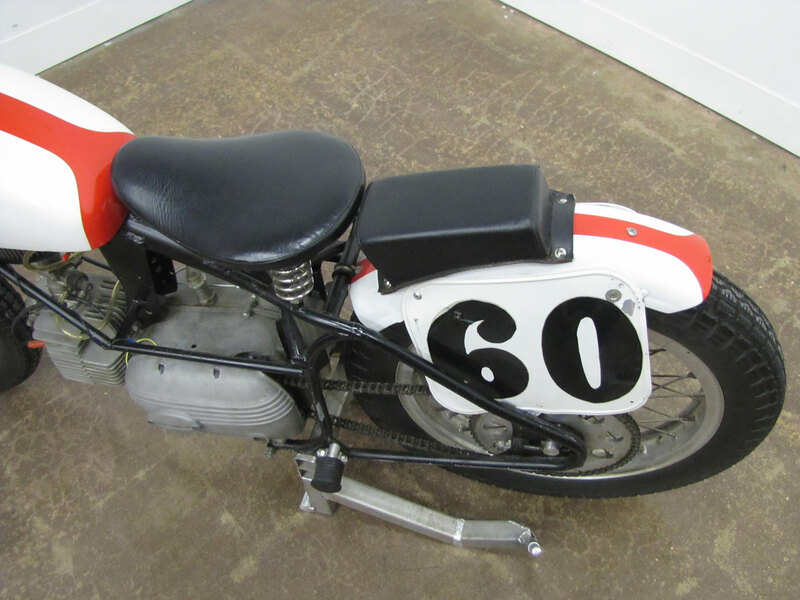 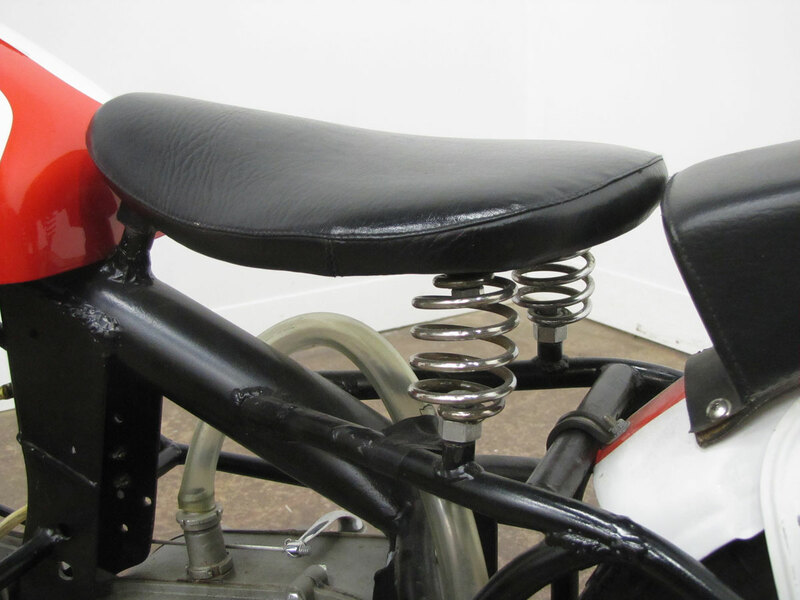 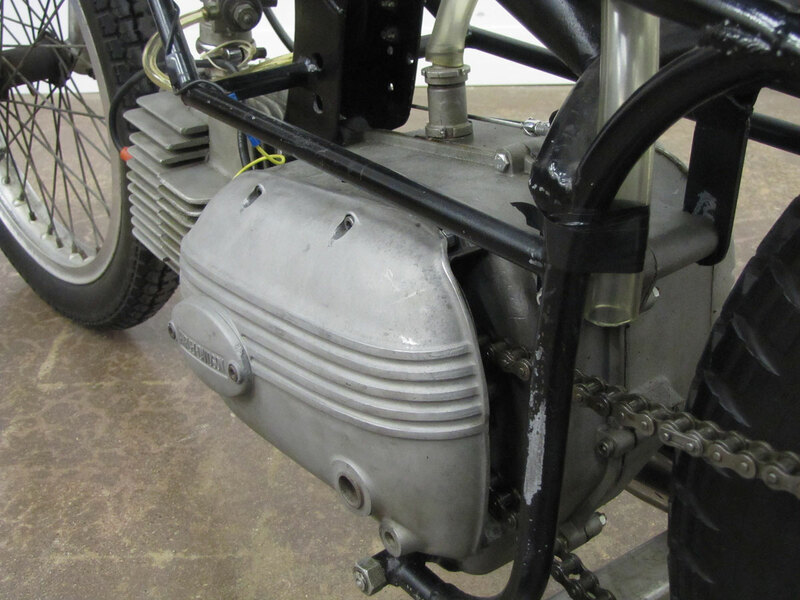 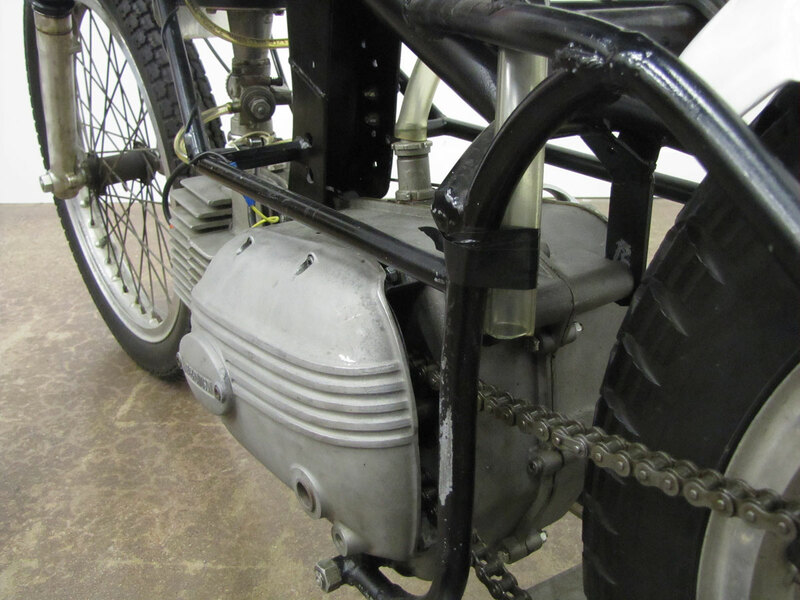 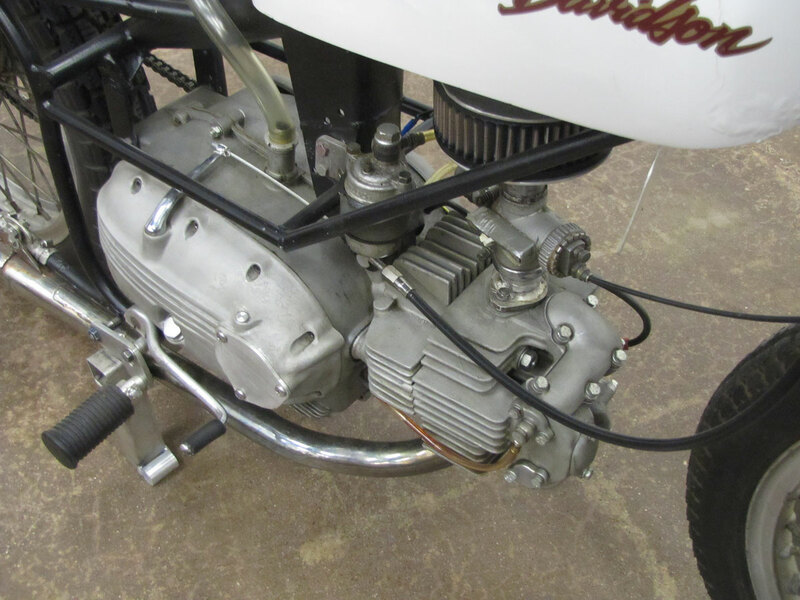 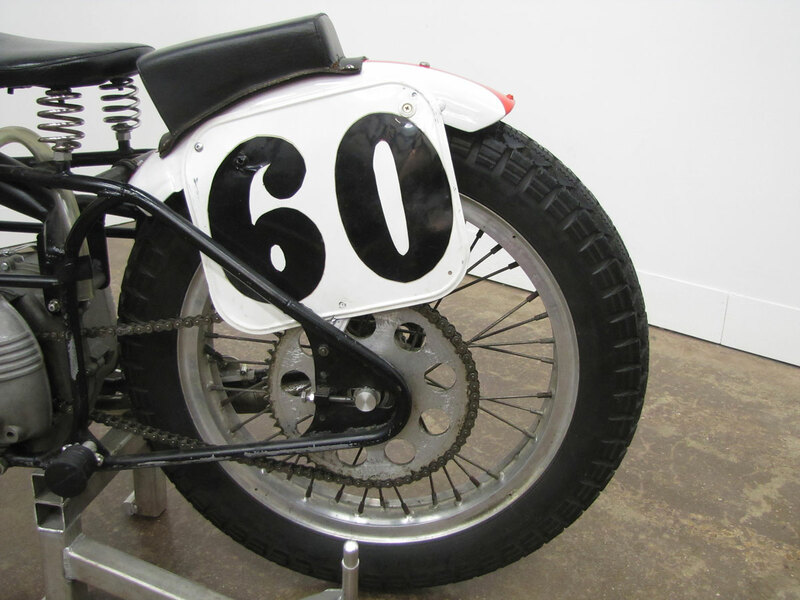 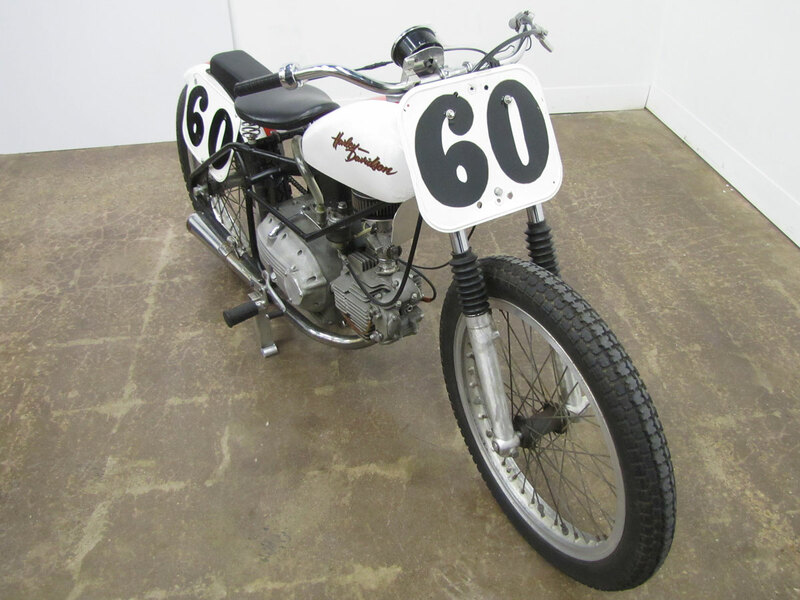 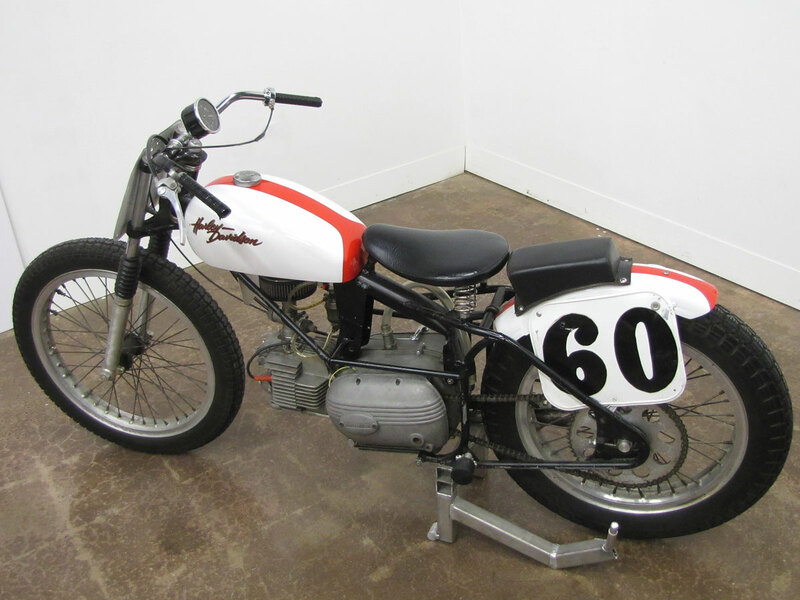 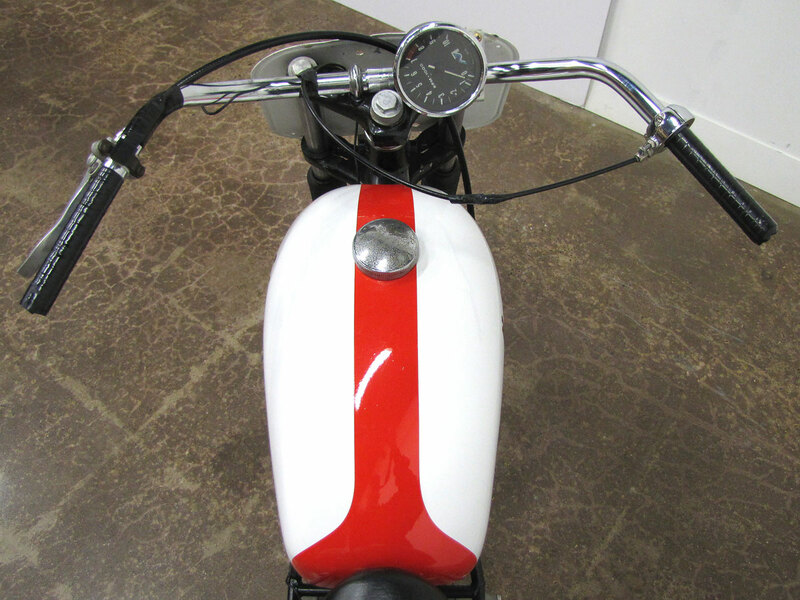 This Harley-Davidson Sprint short track racer was built by the Harley-Davidson factory to AMA rules of 1959. 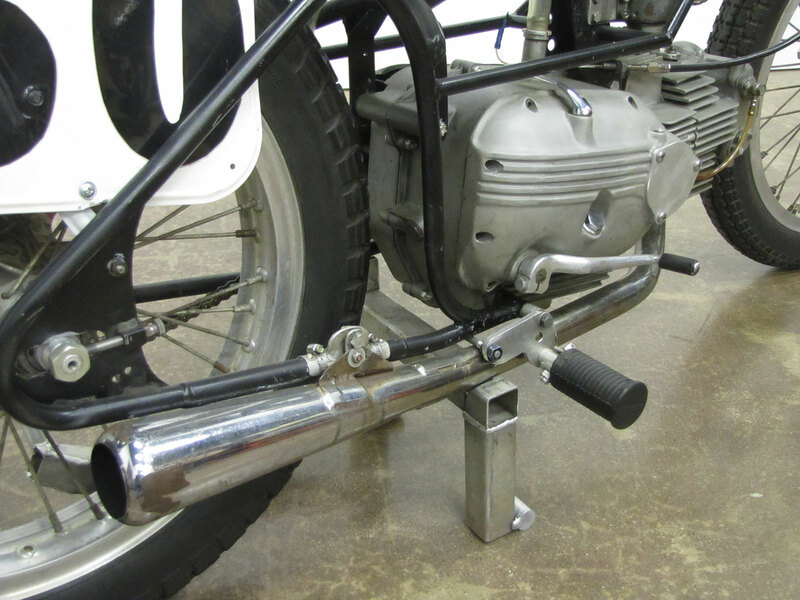 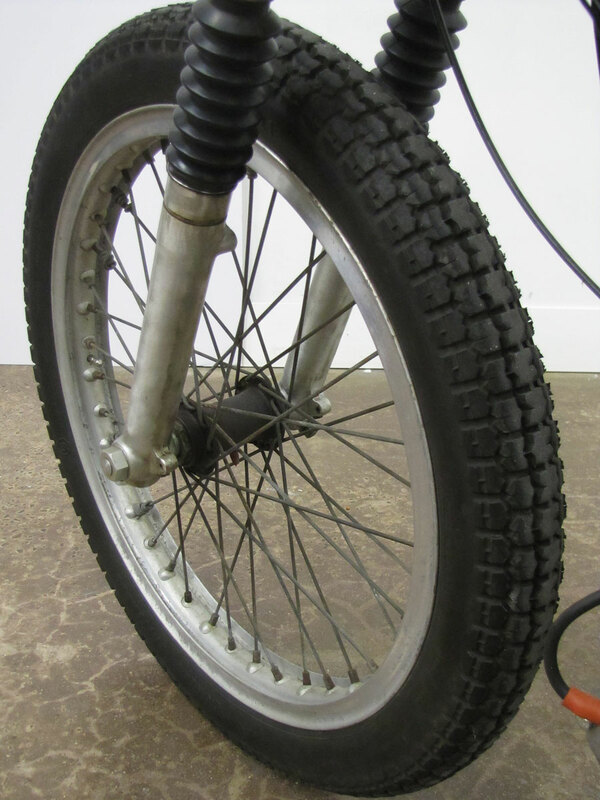 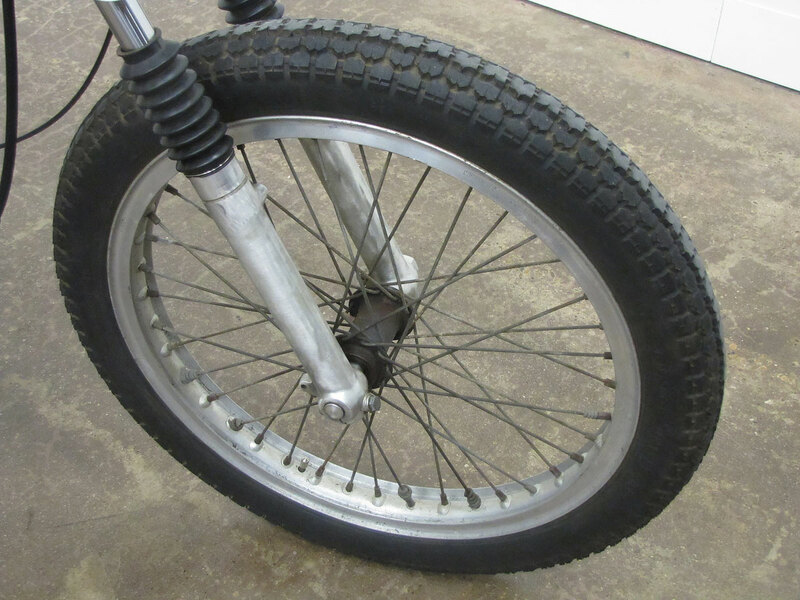 Carroll Resweber made the bike even more race worthy with his tuning tricks. 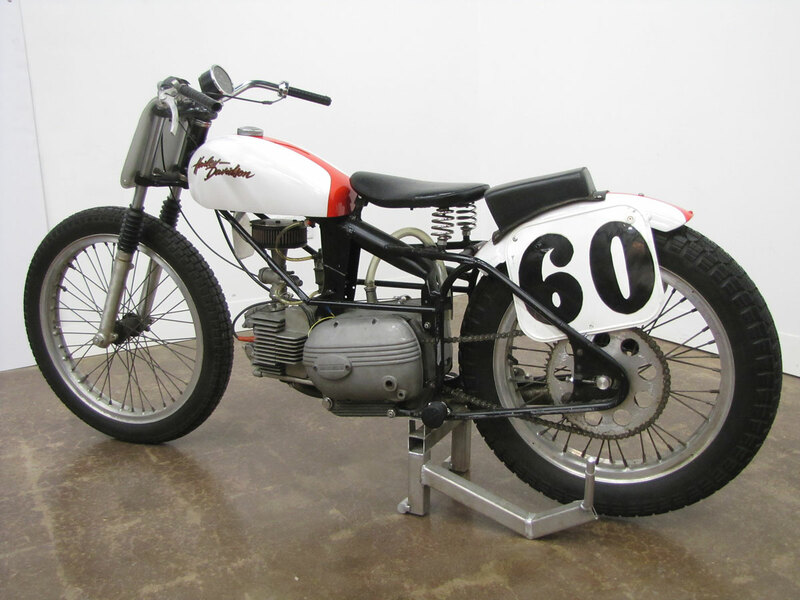 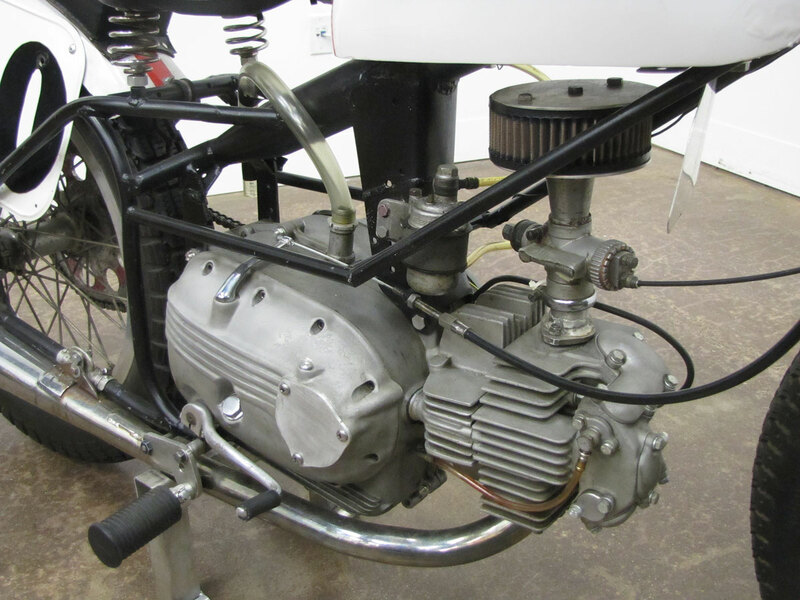 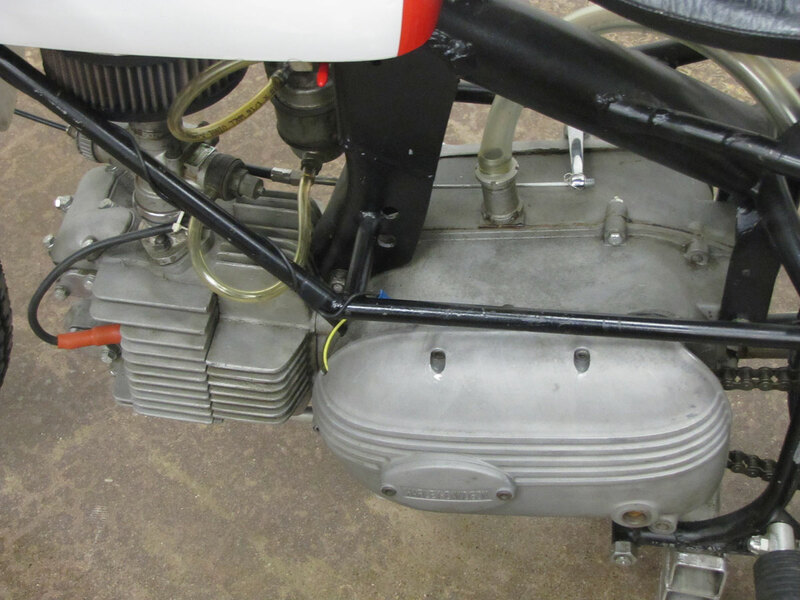 As desired, Resweber won the Chicago Sante Fe Speedway AMA National race in both 1961 and 1962 riding this bike. 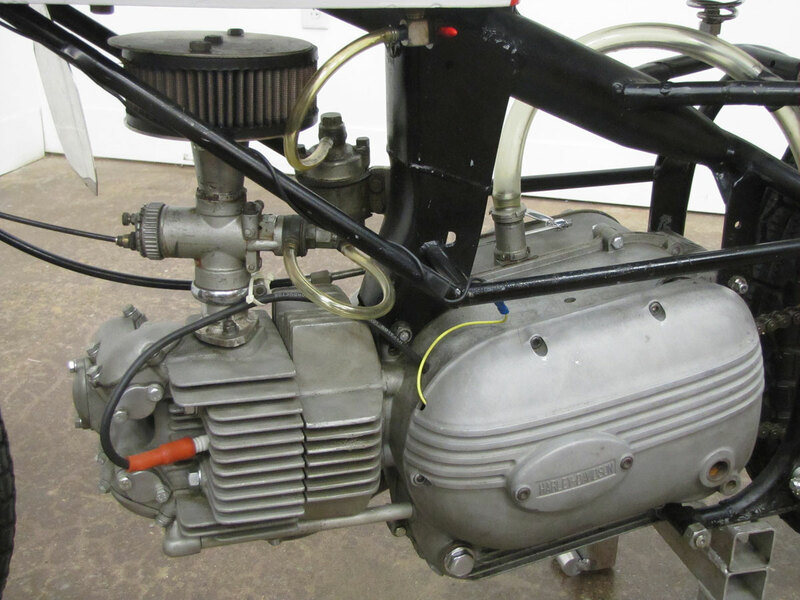 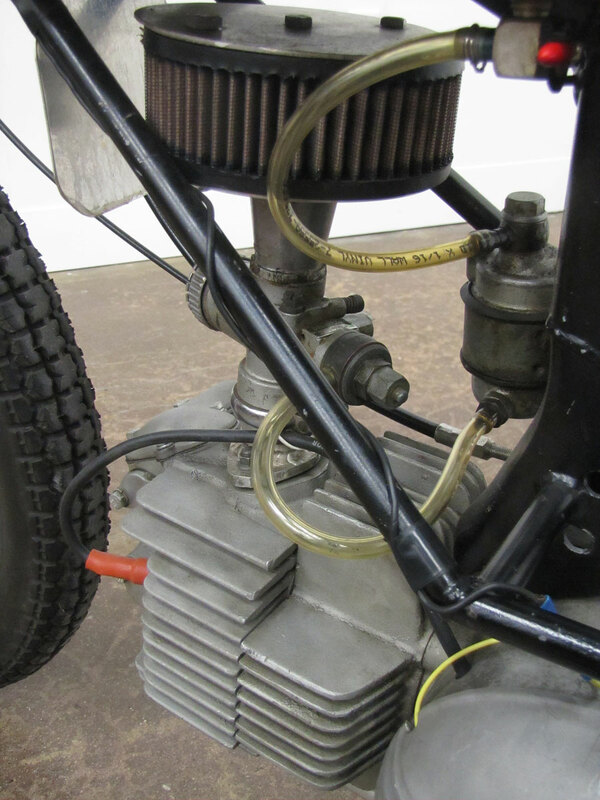 This machine uses the original 1961 frame and engine and other original major period components and is very close to the setup Tibben campaigned for so long with such great success. 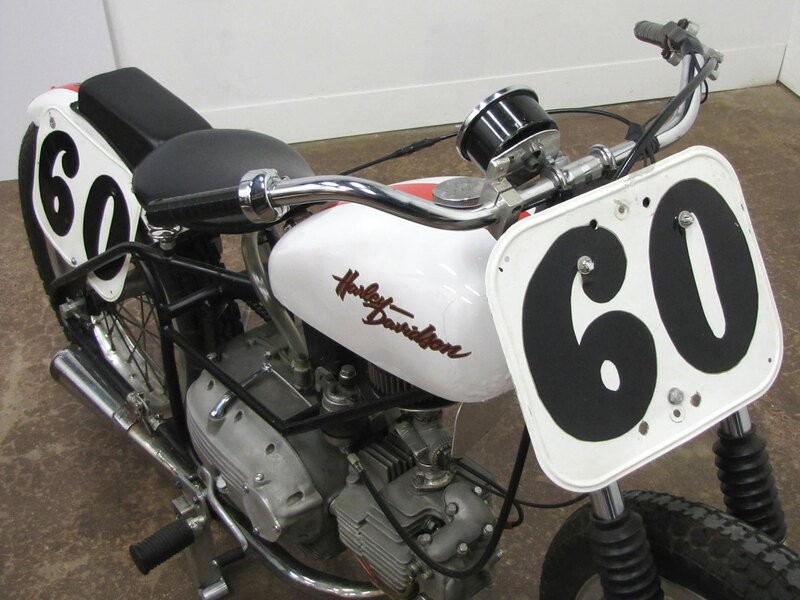 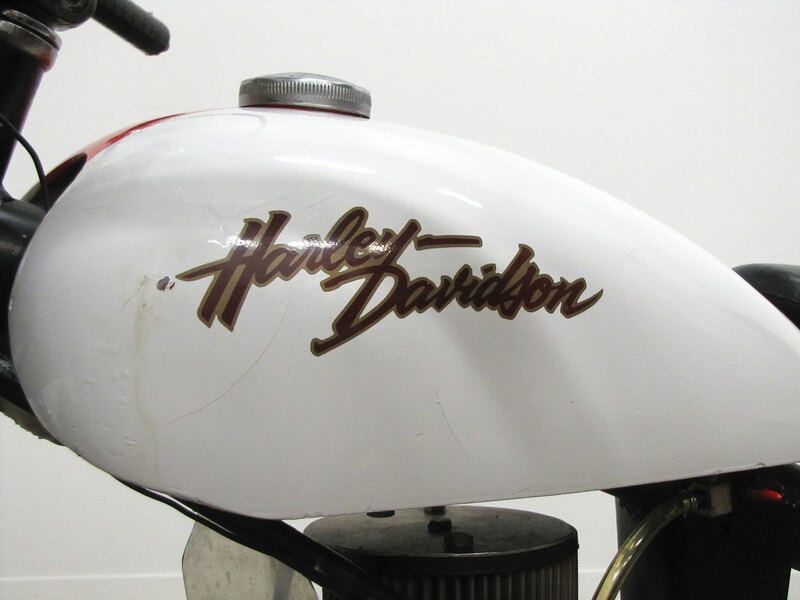 The Harley-Davidson Sprint was a universal short track and road race motorcycle of the 1960’s, competed well for many years serving top ranking pros on the race track. 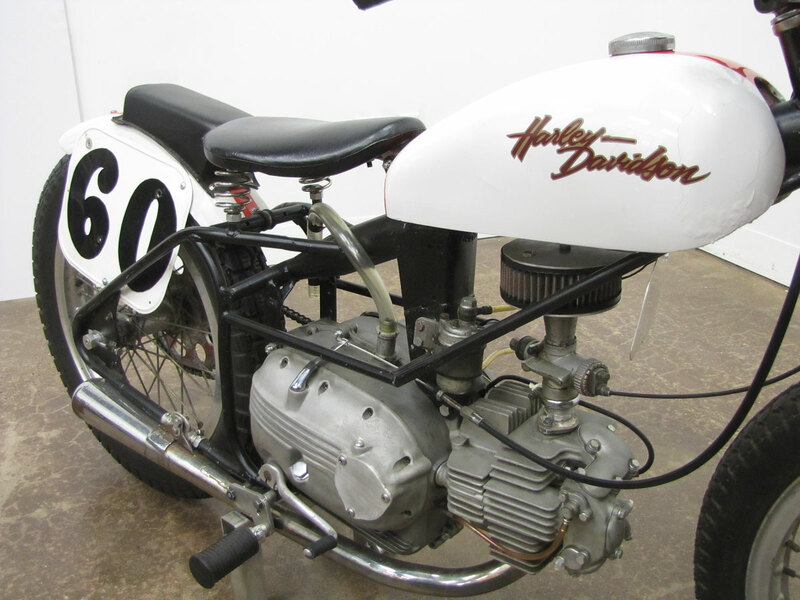 In addition to John Tibben’s bike, there are several Harley-Davidson Sprints in the Museum, plus a couple of Aermacchis which the Sprint originated from. 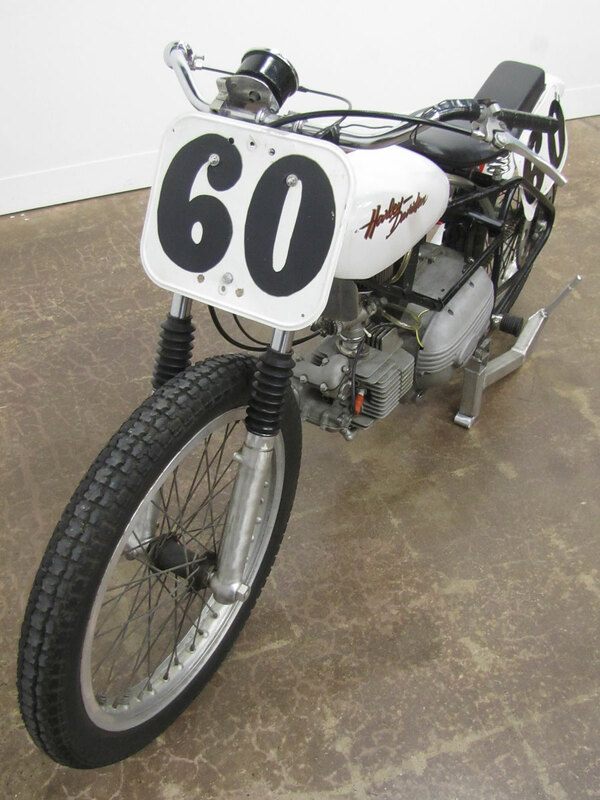 One Sprint on display is on loan from American Pickers star Mike Wolfe.